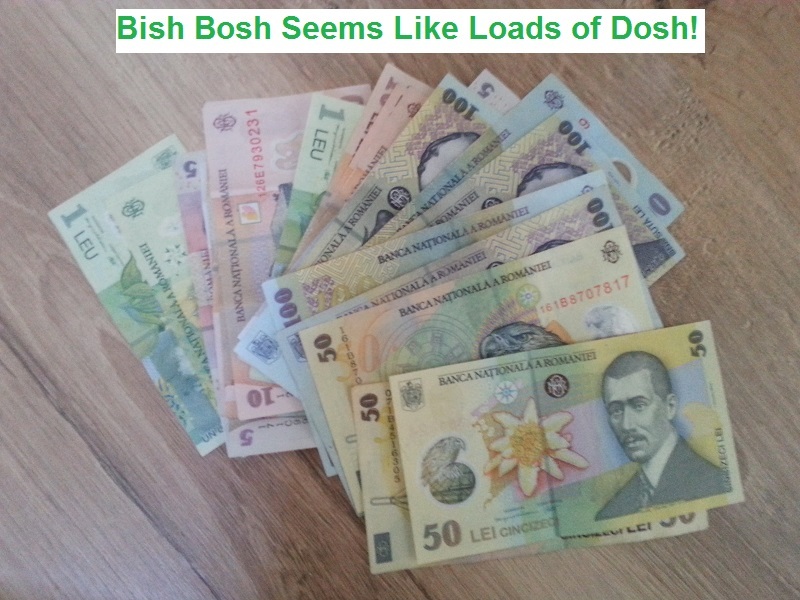 The currency in Romania is called the leu. The currency has been revamped several times through the years and the present version is also known as RON. It’s an acronym for “Romanian New Leu”. The RON is the fourth version of the currency and it’s been in circulation since 2005. One leu consists of 100 bani and, when used in the plural form, leu becomes lei. Hence, one leu, but two lei. There is no leu in coin form. It’s always paper and bani are always coins. Although you may find yourself using bani in supermarkets and other types of store, if you go out drinking the prices are always in leu. However, although that means you are unlikely to have pockets that become weighed down with change, you may find that you are carrying around quite a large wad of notes. For example, if you go to a cashpoint and withdraw 500 L (€107), you will likely receive your Romanian money it in the form of a single 500 L note. That’s not too bad, but if you go and buy a beer that costs 11 L and you will receive 489 L. That will be at least 11 notes and if the till is short of the larger denominations it could be even more. When you are using Romanian money you can spend a lot of time walking around with more notes than would be the norm if you were using euros, pounds, or dollars. It can take some getting used to. I think the Romanian bank notes are very interesting to look at, but some of the larger denominations are bigger in size than euros or pounds. They were not a good fit for my minimalist wallet. In the end, I gave up trying because it would not close properly with multiple Romanian banknotes inside. I began carrying the notes in my pocket instated and it felt a little unusual to have money resting beside my wallet instead of sitting inside it. Even if was using a “normal” wallet like most guys do, fitting so many big notes inside would have been a bit of a pain. So, overall, I can’t say I particularly like using Romanian money. On the positive side, having a big wad of notes on your hip can make you feel rich if it’s a new experience. It works both ways though. When you are counting out 7-20 L for a single beer, or possibly more (the price varies a lot from one establishment to the next) it can also feel like you are being overcharged.